This Friday, New Japan Pro Wrestling presents Wrestle Kingdom 13 live from the Tokyo Dome in Tokyo, Japan. The card is stacked, with IWGP Heavyweight Champion Kenny Omega defending against Hiroshi Tanahashi in the main event. In addition to Kenny Omega, fellow Elite members Cody Rhodes, The Young Bucks, Hangman Page and Marty Scurll will all be in action. Wrestle Kingdom is the biggest show of the year for New Japan, but it’s no secret there’s something else brewing involving The Elite that could alter the landscape of the entire industry. 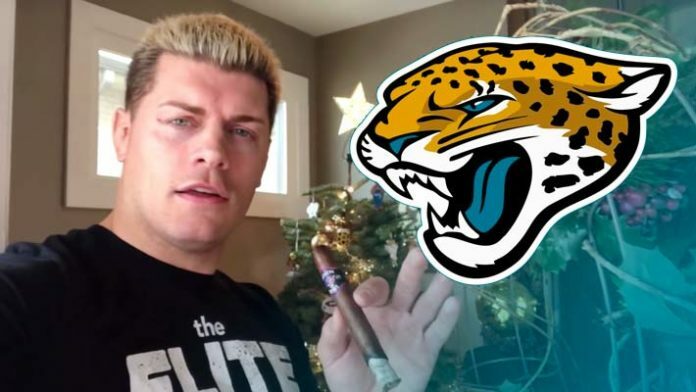 Of course, we’re talking about All Elite Wrestling, the upstart wrestling promotion involving The Elite and financially backed by the Kahn family, owners of the NFL’s Jacksonville Jaguars. Cody Rhodes will defend the IWGP United States Championship against Juice Robinson at Wrestle Kingdom. One week out from this challenge, Cody posted a photo on Twitter showing off the weight-lifting belt he’ll be wearing at the Tokyo Dome. 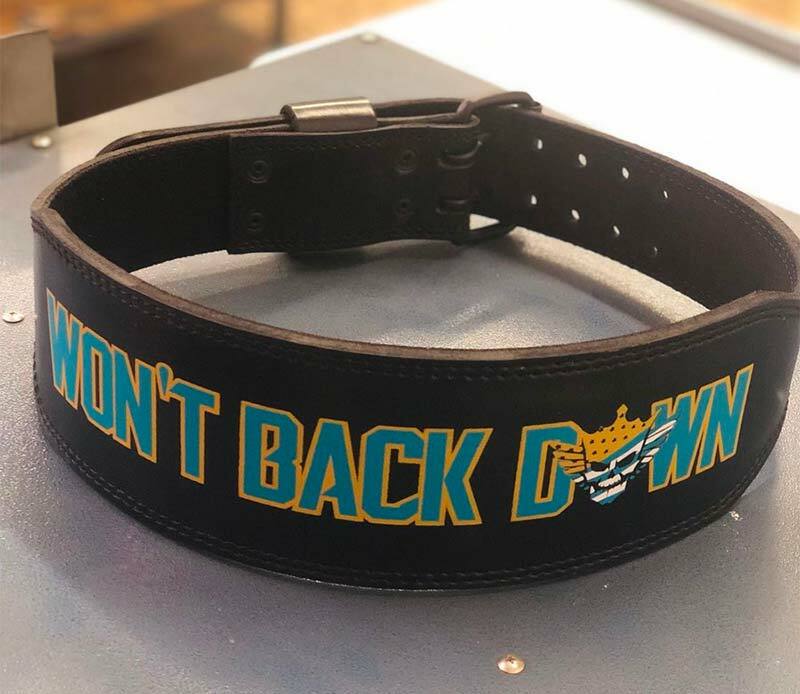 The belt, seen below, is inspired by the Jacksonville Jaguars’ logo and features the words “Won’t Back Down” in teal and gold. For what it’s worth, Cody’s tweet showing off the belt has since been deleted.